Engagement ring shopping isn’t what it used to be. Just ask millennials. Two-to-three month’s salary to spend on an engagement ring? Probably not. Millennials are waiting longer than previous generations to make big life decisions like buying a home and getting married. For those taking the marital plunge earlier, the price-tag on the ring means less than the final product. While young millennials won’t always opt for the expensive rings, they want something special, a unique piece that speaks to them and their relationship. For couples who wait later to get engaged, however, the budget is much more liberal. These are couples who have waited patiently to buy the ring of their dreams, and the sky’s the limit. Of course, when you’ve waited so long, perfection is preferred. That’s why this e-savvy generation is skipping the traditional in-store experience; these millennials want unique, customized creations, and they prefer to find them online. 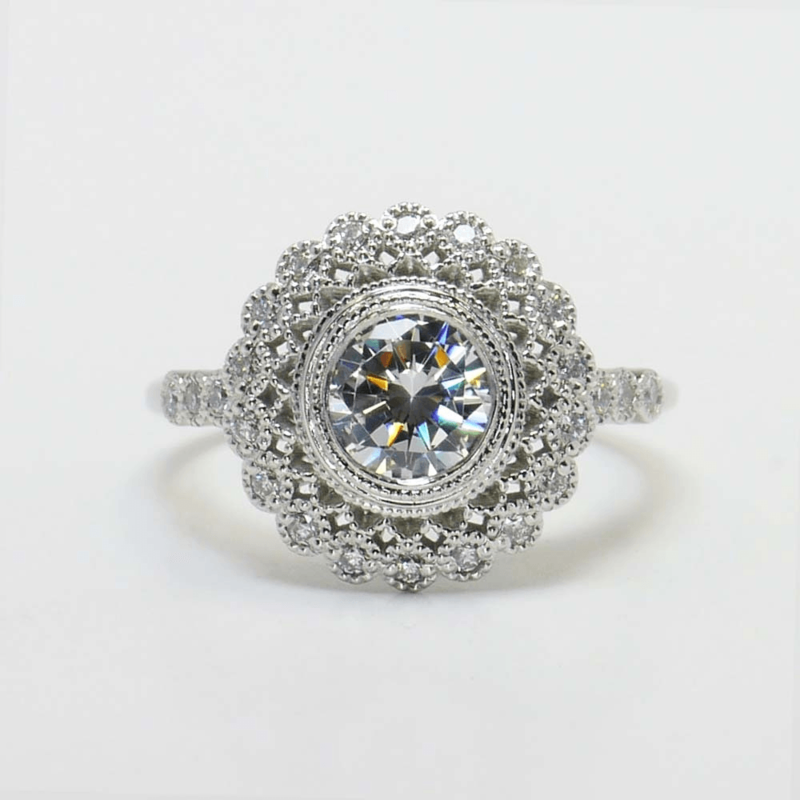 The traditional in-stock ring isn’t the option that excites most millennials. Unique, customized pieces make a statement and do not blend into the crowd. Millennial couples want a ring that tells their own story and reflects who they are as individuals. 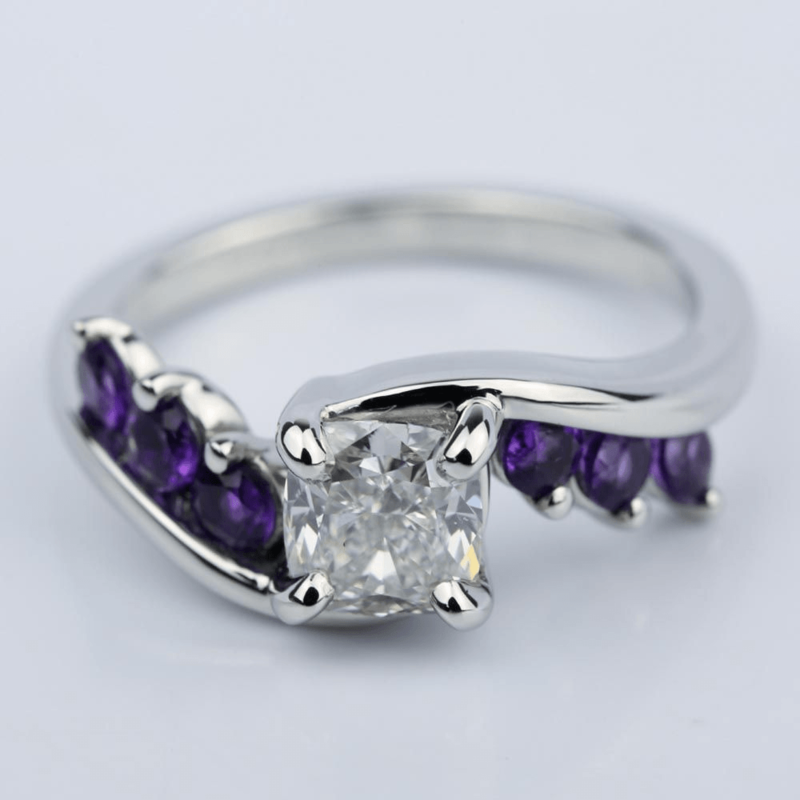 Even if the budget is limited, many couples prefer to design their own rings instead of purchasing an in-stock design. Creating a customized ring personalizes the experience and ensures a one-of-a-kind ring that illustrates the uniqueness of the couple. Millennials also are more open to purchasing engagement rings without the typical dominant diamond. In Kristopher Fraser’s article on The Daily Beast titled “Why Have Millennials Fallen Out of Love with Diamonds,” Russell Shor, a senior industry analyst for the Gemological Institute of America, weighed in on the millennial turn against diamonds. Instead of diamonds, millennials are choosing Moissanite, which is a clear and brilliant gemstone (and, no, not a cubic zirconia) that has risen to become a popular and economic choice for millennial engagement rings. 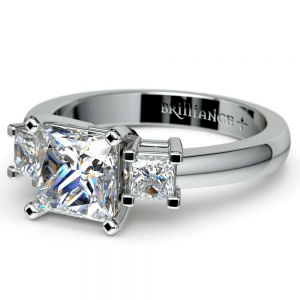 Moissanite offers a similar durability and look to that of a diamond for a fraction of the cost. Most individuals cannot tell the difference between a diamond and Moissanite, but the money saved allows the couple to splurge elsewhere on their wedding experience or save for a home. 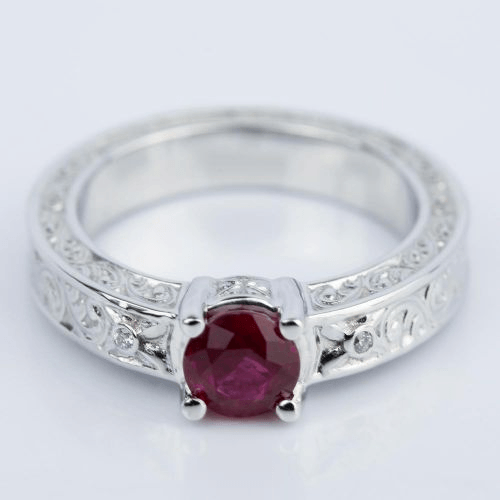 Couples also choose colored gemstones as the dominate stone in a ring to create a customized look. Of course, with Duchess Kate being the most popular millennial of the moment, the “Kate Effect” also has likely inspired this choice in ring styles. Millennial couples who still select the traditional diamond for an engagement ring often demand conflict-free stones. As a generation accustomed to technology, millennials feel comfortable shopping online, even for major purchases like engagement rings. The advent of CAD programs and 3D printing also allows buyers to visualize their personalized creation and make changes as necessary. Millennials will browse Pinterest and other sites to find style inspirations before creating their own masterpieces. Shopping online also gives millennial couples the opportunity to play with prices, tweaking a ring before their eyes to fit a budget. And, of course, online shopping also allows for instant easy one-stop financing, which helps take the financial sting out of the purchase. But most of all, millennials love the ease and convenience that internet shopping allows. Pick out a ring while sipping a cup of coffee in your pajamas. You don’t even have to leave the comfort of home. Or go mobile and buy an engagement ring from your phone while commuting to work. Though preferably not if you’re driving. Buying trends change through generations. For millennials about to propose marriage, buying an engagement ring is a serious purchase. Millennials want unique, convenient and socially conscious rings that are truly one-of-a-kind. And, ideally, the dream ring better offer budget-friendly Brilliance!